Crystal Mozart stands apart because of its width alone. At 22.85 meters (roughly 75 feet) across, Mozart is nearly twice the width of the standard river cruiser. With so much real estate, Mozart can boast features that most river cruise vessels cannot, such as an indoor pool and Jacuzzi, a spacious gym, four restaurants, an ultra-wide sundeck with a retractable bar and much more. Of course, all that space comes at a cost. Mozart can navigate up the Danube not much past Passau. That’s not a huge handicap. The section of the Danube that Mozart can cruise is among the most popular stretches on the river, with marquee attraction such as the Melk Abbey and the Wachau Valley, and storied cities like Vienna, Budapest and Bratislava. Littlejohn is quick to praise other river cruise companies for pioneering the river cruise industry and for making this growing travel segment the success that it is today. He is also quick to point out that Crystal is raising the bar and transforming many components of river cruising. Consider that Crystal is the only river cruise company currently operating that started as an ocean-cruise company. Crystal has had more than a quarter of a century to perfect its onboard experience. And years of consecutive awards leaves little doubt that Crystal performs about as good as it gets in the hospitality sector. Let’s take a look at the three areas that Littlejohn cites as stand outs: cuisine, service and amenities. Well, maybe not to shame, but Neumeister certainly can hold his spatula high among the world’s most acclaimed chefs. He creates magic in the galley, and Crystal gives him plenty to work with, from fresh, locally sourced farm-to-table ingredients to a generous budget to create Michelin-inspired menus. Donald Mason, Crystal’s chief financial officer, says that while he can’t reveal numbers, food costs on Crystal Mozart are “by far” higher on a per person basis than for any of the five cruise lines he has worked for, including Crystal’s ocean-going vessels and yacht. 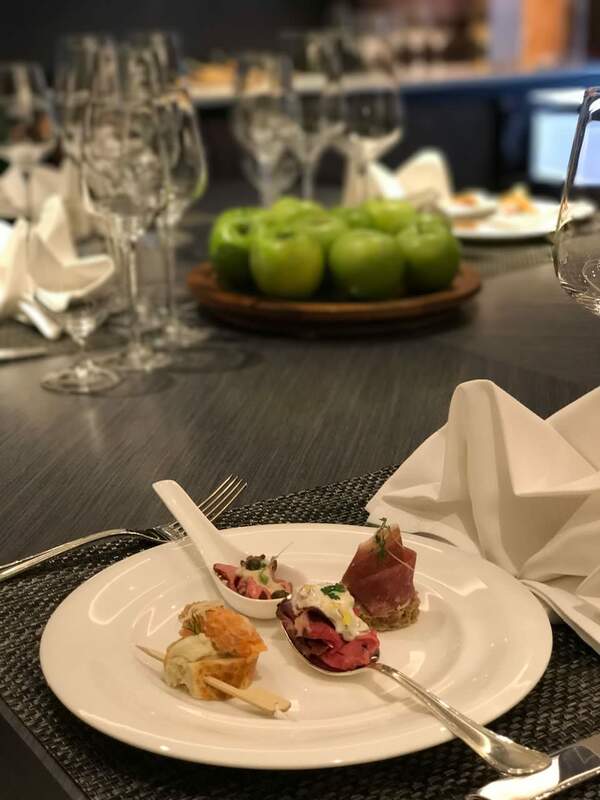 “We spend more per head for this experience than we do for all of our other experiences because we have the farm-to-table concept and the Michelin-inspired menu,” Mason told me over a drink in the Palm Court on Crystal Mozart. Farm to Table & Michelin-Inspired Menus. Managing Director Littlejohn takes pride in providing his chefs with fresh, local ingredients. “We source as much locally as possible,” he says. Crystal serves up its farm-to-table, Michelin-inspired cuisine in multiple, open-seating eateries and bars: the elegant Waterside Restaurant, the Bistro, Blue, the Vintage Room – or in your suite. There’s no banquet-style dining on Crystal’s ships; dishes are prepared à la minute. Unlike other river cruise companies, Crystal handpicks, hires and trains its staff. The process is an interesting one. “We hire for personality and train for skills,” Rodriguez says. That approach serves both guests and Crystal well. The company’s turn-over, for example, is among the lowest in the hospitality industry. But it isn’t just the personality and professionalism of Crystal’s staff that helps set Mozart apart. A large factor is the crew-to-guest ratio. Essentially, the equation reveals how many crew members will be available for your cruise experience. Crystal has a ratio of around two crew members to three guests, or 1 to 1.67. Other river cruise companies typically average around one crew member to three guests, so Crystal’s number is double. Naturally, a higher crew-to-guest ratio would suggest more attentive service than a lower crew-to-guest ratio. Crystal River Cruises features European butler service for every room category, dedicated spa professionals, Crystal Society hosts, multiple pastry chefs and more. In each suite, Mozart features king-sized beds, Toto electronic washlet toilets and iPad control centers. The iPads control mood lighting, movies, music, room service (even from the dining room menu) and much more. For those who prefer lots of space, Mozart boasts the largest luxury suites of any river vessels in Europe, with the largest being 883 square feet. Not everyone would categorize the river cruise companies as Crystal does in this chart, but the information provided is valuable even if you were to ignore the categories. Of particular interest is number of crew, the crew-to-guest ratio, and stateroom sizes. Chart provided courtesy of Crystal River Cruises. 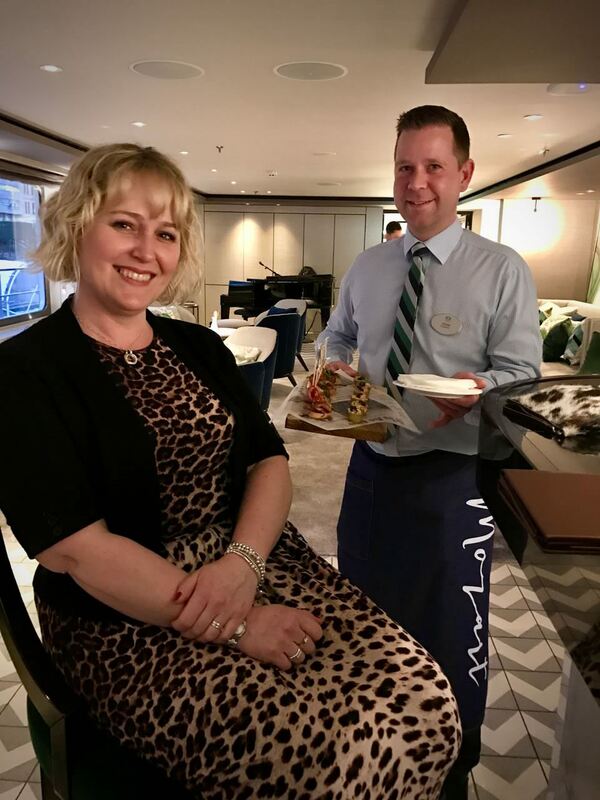 With its ubiquitous butlers, multiple dining venues, its distinctive crew-to-guest ratio and all of the Crystal Cruises’ hallmarks in place, Mozart is outperforming Crystal’s own highly-rated ocean cruise product, Littlejohn says. Mozart’s QAP score (the line’s Quality Assurance Program based on guest feedback) is the highest in the entire Crystal fleet, he says. “And our new ships will have the same caliber of food, service and amenities as the Mozart,” he adds. 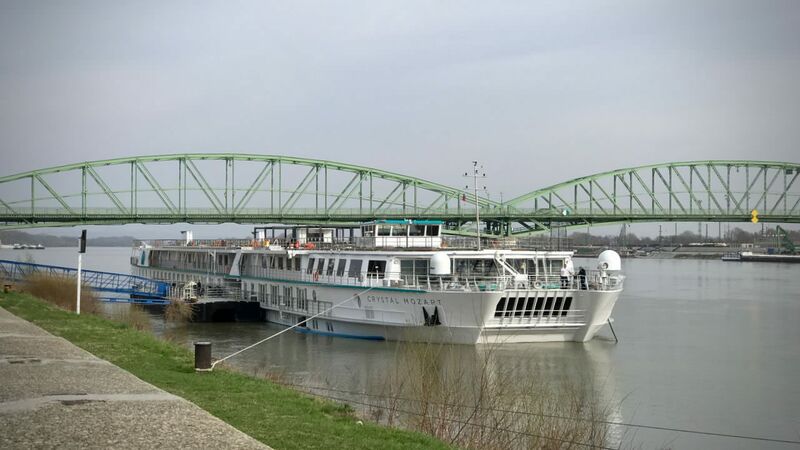 Built in 1987 and completely refurbished by Crystal last year, Mozart has been referred to as “The Queen of Europe’s Rivers.” Clearly, Mozart stands apart when compared to the European river cruise fleet. Will the four sisters also stand apart? We’ll know by the end of the summer. Want to cruise Crystal now? With per diems as low as $379 per person, Crystal Mozart serves up quite a good value. By submitting your contact information, you agree that your email address may be shared with a travel expert who can help me find the perfect cruise for you.